If you have been here before, you may have noticed we’ve changed a few things! Our old design has served us well for a lot of years, but time and touch screens have not been kind. We felt it was time to leave it behind and finally make our site easier to access and navigate. So now, when you visit us on your smart phone or tablet, you won’t have to pinch and zoom, twist and turn to get where you are going. 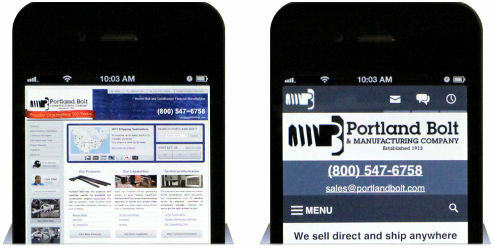 The site will scale to your screen size, and adjust to make it easy to click where you want to and not where you don’t. We built it for you, so let us know what you think!